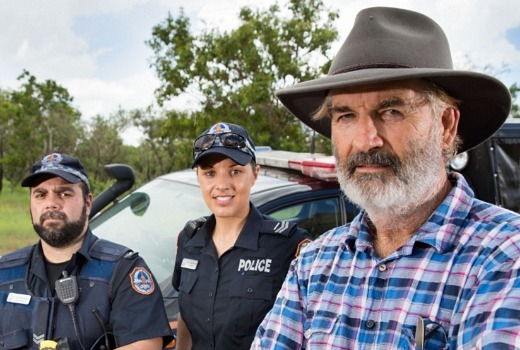 TEN has cleverly cast John Jarratt as the new narrator of Territory Cops. Jarratt, who starred in Wolf Creek, is readily identified with the dangers of the outback. Territory Cops also represents an unusual case in local production, originally produced for Foxtel, but now with new episodes commissioned by TEN. The McAvoy Media series is due soon on TEN. John Jarratt will also appear in the Wolf Creek series coming to Stan. From drunken misadventures and serious assaults, drug trafficking, driving offences, property theft and a whole lot of public nuisance, season two showcases the dangerous, bizarre, heart-breaking and humorous moments that come as part of the job when you are a Territory cop. Combining stunning visuals with non-stop action and compelling characters, the brand new season of Territory Cops promises to be entertaining, unexpected and addictive.